Craft, manufactured in England by Steelite, is the international "hit" of the year. 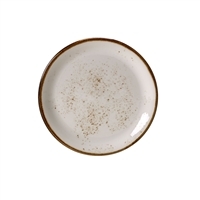 The reactive glazes produce random mottling that is reminiscent of ware produce by potters over a century ago... with one exception - Craft is super durable. Craft - it's about reaching back while moving forward...inspired by handcrafted country wares made by generations of potters, Craft embodies a true artisan look while providing modern functionality and durability only found with state of the art commercial dinnerware. Steelite has absolutely "nailed it" with Craft. Craft is manufactured by Steelite in England's Stoke-On-Trent historic pottery district. Select from a wide variety of shapes to build your personal dinnerware in quantities that suit your lifestyle.